What are essential oils? How are they made? Essential oils are the immune system of a plant. A plant naturally produces essential oils. Oils from the roots of a plant are typically grounding, floral oils are uplifting, citrus oils are refreshing and cleansing. The sourcing process is very complex. Few companies focus on keeping the oil in its natural constitution. Which oils are best for mental focus and concentration? Frankincense is my favourite oil for mental focus. Lemon and Peppermint are great too. I’ll explain in my talk on Thursday April 4th how to choose the oil that works best for you. And which oils are best for relaxation? Lavender is the number one oil for grounding and relaxation. Similarly great are Sandalwood, Cedarwood, Vetiver, Balance, Deep Blue and Serenity. Serenity is the blend I use every night for a deeper sleep. Do you have a favourite oil? How do you use it? I use essential oils all day long. I have holistic routines to support my body systems throughout the day. My favourites right now are Neroli, Clary Sage and Clove, Lemon in my water and daytime Diffusor, Spearmint before I teach (oil of confident speech), Serenity and Deep Blue in the evening. Are there any dangers associated with essential oils? There is no danger associated with pure and tested essential oils. 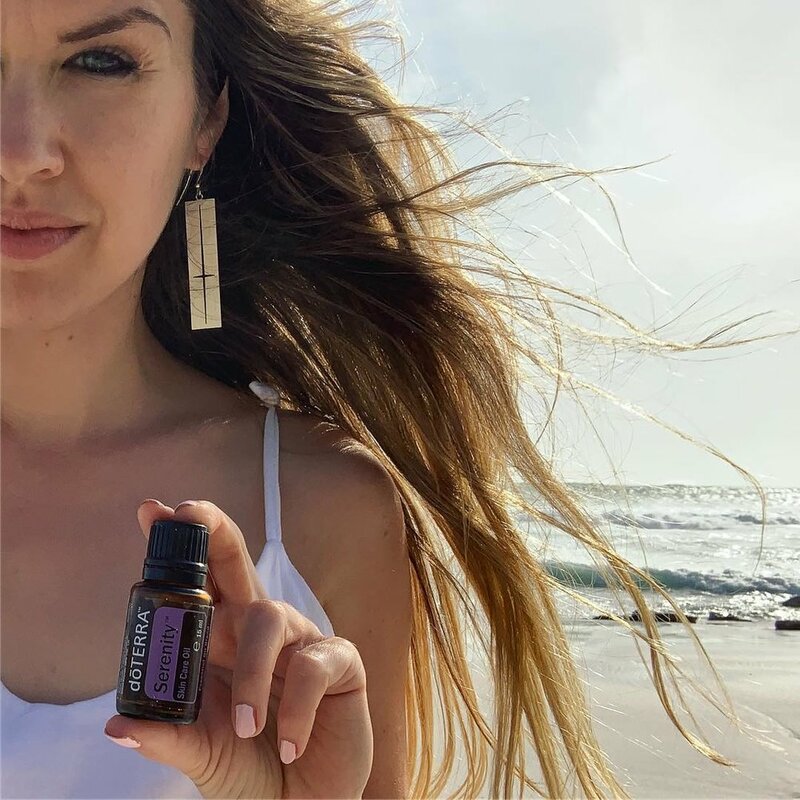 However, most essential oils that are labelled as pure are contaminated, stretched with filler substances or harvested too early to optimize margins. APRC has tested essential oils from 50 companies. Only doTERRA and another small company show clean test results. I use doTERRA oils because of the quality and ethical sourcing. What can we expect from your talk on April 4th? I will explain how essential oils work in our body and why. I will show you how to apply essential oils and what you can achieve with implementing little daily routines. I will share with you what I experienced since I started using them two years ago (I didn’t get sick anymore, deeper sleep, more stable energy, release of fear, higher access to my intuition, access to bigger visions, deeper trust in myself). We will have a look at which essential oils are best for your individual needs and how you can get started.